Do you want your home to be the talk of the block? Hoping to boost that curb appeal to invite your guests inside with style? Instead of investing in an expensive home renovation, utilize the right exterior lighting to improve your home’s curb appeal. As your local exterior lighting experts in Trussville, we invite you to visit our showroom anytime to learn more about how you can design the right exterior lights for your space. Check out these tips for using exterior lights to your advantage and invest in the right outdoor home lighting to ensure your home is the envy of the town. The first thing you should do is sit down and make a list of the best features the outside of your home offers. Think about everything from the walkways leading up to your home to the plants growing in your yard. For example, if you have an ancient oak tree that is a major feature of your yard, put that on the list. Perhaps your landscaping features a small fountain or cascading waterfall, add that to your list. From impressive doorways to beautiful stone paths, every feature you can think of should be recorded for consideration. 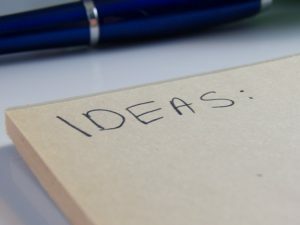 You will use this list to help create a design flow and to determine which features are worthy of illuminating in the night. This is also a good time to consider getting rid of any unnecessary features or clutter that doesn’t add to your curb appeal. Next, you will want to determine what kind of design style you are aiming for. Will you choose to create a stunning, elegant, and ornate design? Do you prefer simplistic and modern? Take the time to think through what overall theme you will be aiming for. As you contemplate different style options, be sure you take into consideration what existing style your home’s exterior already boasts. For example, it might not be practical to shoot for a modernistic design if your home’s exterior features ornate fountains and statues. 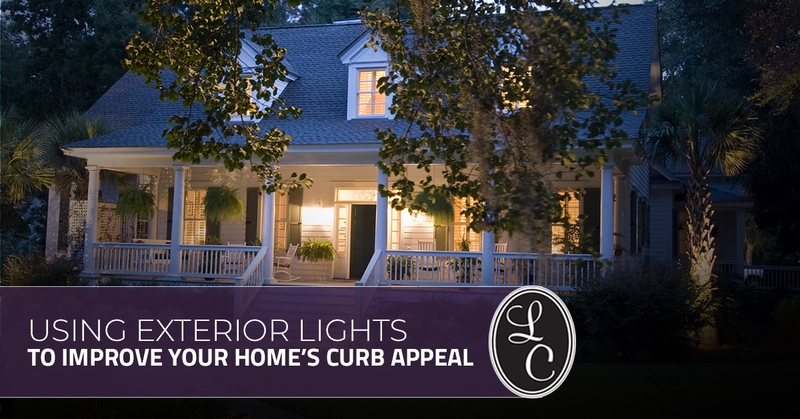 Conversely, if you want an elegant lighting scheme, make sure it will match the look and feel of your home’s exterior. Once you have your home’s best features picked out and an idea of the design theme you will be aiming for, it is time to pick out the best lights to highlight the right features. Make sure that when you choose a light, it matches the feature it will be highlighting. For example, if you have a stunning entryway with ornate doors that currently get lost in dim lighting, pick out an equally beautiful set of doorway lanterns to cast a glow upon your door. Make sure that the size of the lights you choose matches the feature it is paired with. If you have a small and simplistic fountain you want to illuminate, don’t overwhelm it with a bright spotlight. Instead, opt for a softer in-fountain light that will allow the water to shimmer. When it comes to choosing lighting features to highlight your home’s exterior, make sure you don’t skip over the details. Something as simple as step lights that illuminate your beautiful stone walkway can go a long way in creating a stunning landscape. Make sure that as you add lights, you think about how they will all work together, keeping one central feature as the focal point. If you want to highlight the best features of your home’s exterior, there is no better way than with the right home outdoor lighting. Stop by our exterior lighting store in Trussville today and learn more about how you can illuminate your home, leading to improved curb appeal.